Games Workshop has shown off two new warbands which are coming to Warhammer Underworlds this weekend. We start off with my favourite of the two, Ythari's Guardians. 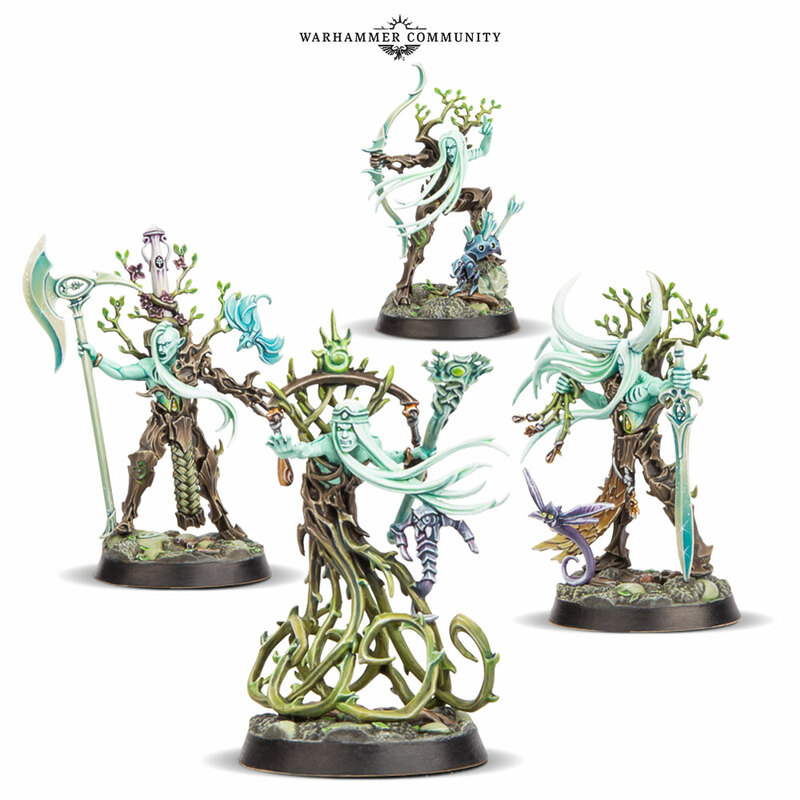 The Sylvaneth have made their way into Warhammer Underworlds with this set of dynamic looking and incredibly detailed warriors. I love what they did with the Wood Elves when it came to Age Of Sigmar, fusing different aspects of their force into these spirit-like forms. It not only makes for amazing painting opportunities but it looks dead cool too. Whilst I have been working on the Fyreslayers for use in the game I do think that I might have to pick up this set as well just so I get to paint the miniatures. I really like that they've worked some of the small fey creatures into the sculpts as well, as if the living Mortal Realms are following them into the fray. As well as the Sylvaneth the Kharadron Overlords are also finding their way into Warhammer Underworlds. Thundrik's Privateers are also dropping into the mix, ready to plunder the ancient Katophrane relics that are hidden within the Mirrored City. 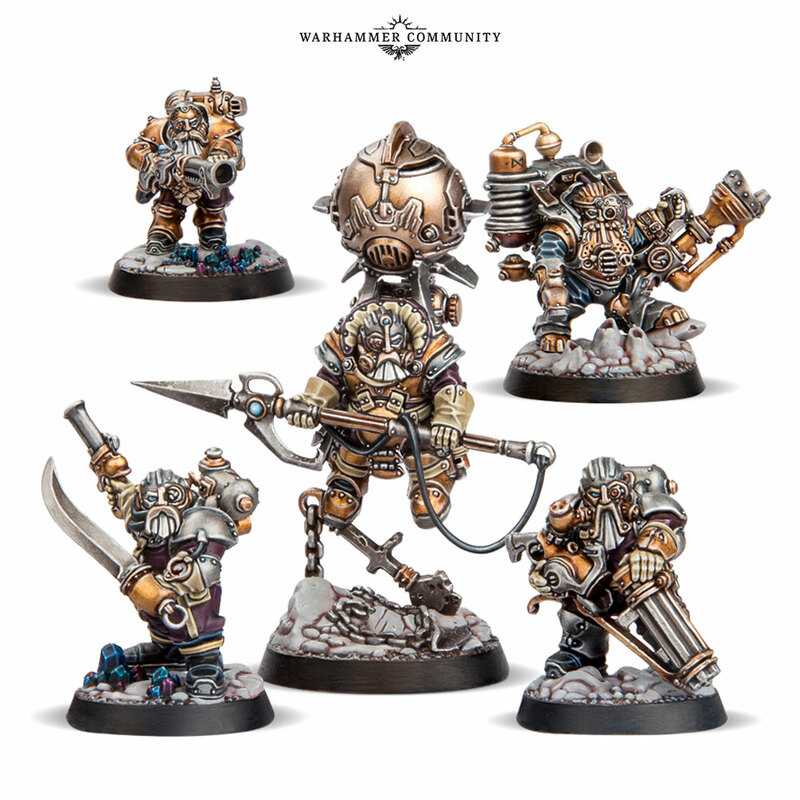 I do like the way that Games Workshop has developed the Duardin to not just be beards on legs and the Kharadron Overlords aesthetic is interesting, but I'm just not sold on it. I think it's maybe because they look a little too Steampunk in their appearance and some of that grizzled old Dwarven charm has been moved aside here. I think it would be a great shame if Games Workshop didn't revisit the regular Duardin in Age Of Sigmar, looking to those newer plastic kits that came out towards the end of 8th Edition and updating the line to work in some more of that Age Of Sigmar feeling. Either way, these two warbands provide you with great opportunities as more people dive into Warhammer Underworlds. As well as the announcement of these new warbands for use in Warhammer Underworlds we also got a look at the new Store Opening special miniature, Berek The Indomitable. This fellow will be available at newly opening Games Workshop/Warhammer stores across the world. Whenever a store opens, moves or refreshes you'll get a chance to pop in and pick up this model in all of his Orruk smashing glory. You might wonder how on earth he managed to decapitate an Orruk with a warhammer. 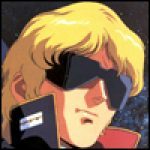 Well, as Games Workshop put it, he was able to hit it really...really...really hard. He does have the eternal power of a god behind him after all. ...and there are also two Space Marines (a Captain and Chaplain) if you prefer Warhammer 40,000. I love that even Leena here has decapitated an Orruk. This pair must really hate greenskins! 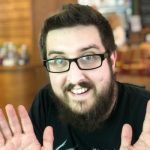 You have some cool things to look out for when it comes to Age Of Sigmar over the coming weeks! What do you think of the new warbands? "This pair must really hate greenskins! " Wow those Forest Spirits look incredible. 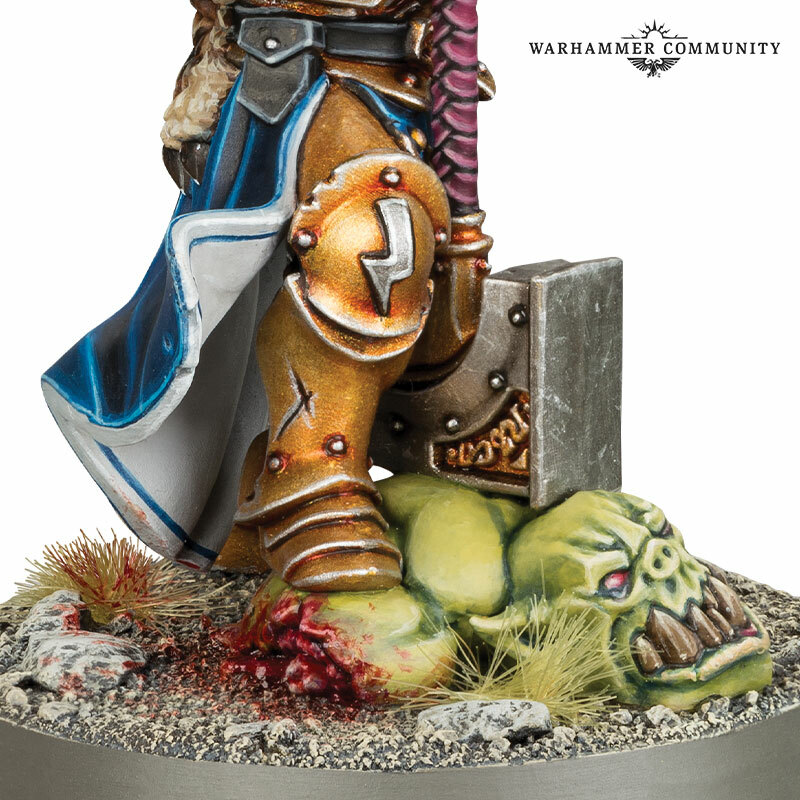 The Sigmarine’s look really cool as well, is this the first Female Commander? There is also Naeve Blacktalon who was part of a set previously and now available on her own. 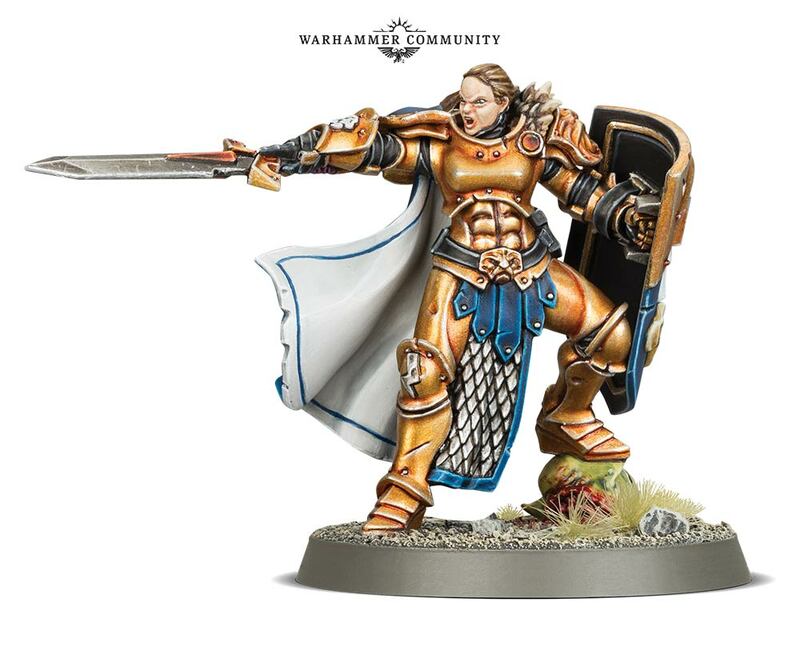 and I think the Stormcasts from the Nightvault set also include a female Stormcast. 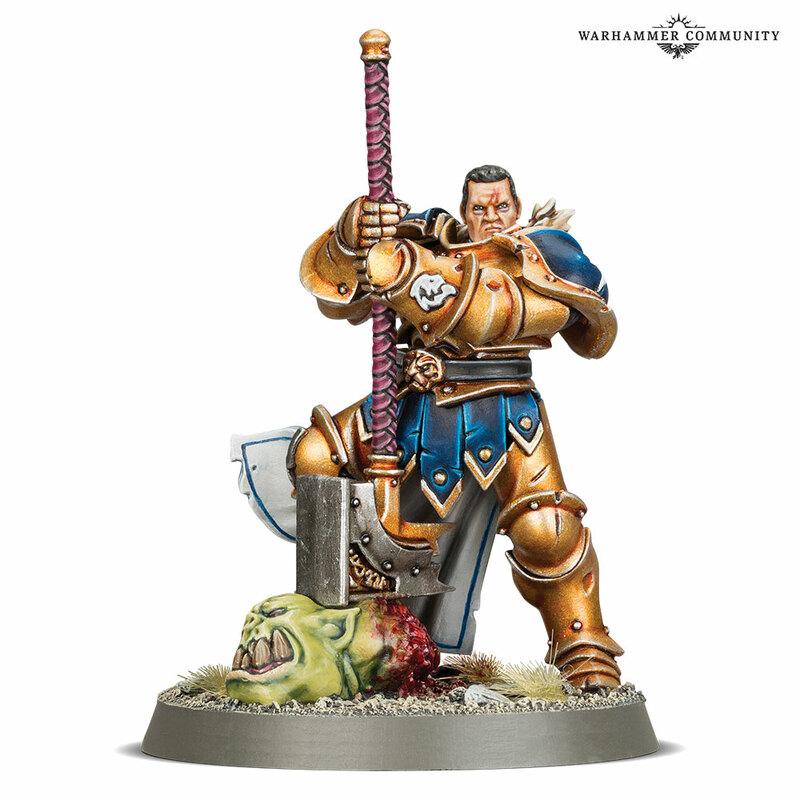 It’s about time we saw some new Stormcast Eternals, it’s a few weeks since we last had any. Those forest spirits look pretty lame if you compare them to the one Scibor just put out. Not fond of the other models, but to GW’s credit, they are proprietary. Those Forest Spirits and dwarves look really good nyt those Sigmarines are rather meh.